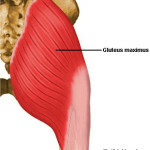 Most of the time the Gluteus Maximus is not the problem area. 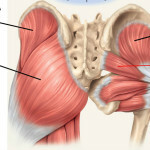 It usually is the Piriformis muscle located just under the GM. 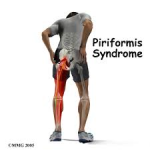 When the Piriformis and the sciatic nerve are inflamed you can take on a posture like this when standing or walking. 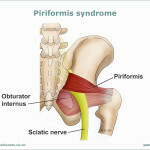 This is the Piriformis and the sciatic 4 pathways. 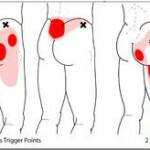 #1 is the normal way behind the Piriformis. #2 Is when the sciatic splits and forms around the Piriformis exposing the nerve to more pressure from sitting or falling. 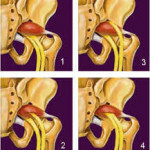 #3 & 4 are cutting through the Piriformis causing much more pain because of irritation when the Piriformis muscle swells. This illustration is showing all the attachments of the muscles near the hip joint and under the GM. 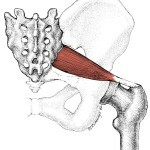 Notice the Piriformis is webbed in with other muscles that look almost the same. 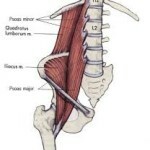 These other muscles are part of the 6 lateral rotators of the hip. 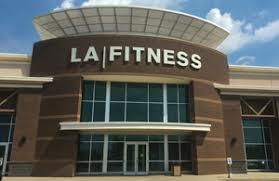 When stretching try to hold on to the shin if you can and pull gradually towards your body. 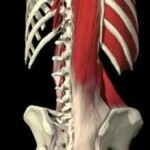 This is the most effective way to stretch the Glutes and Piriformis. 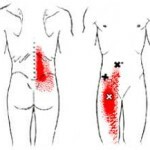 ILIOPSOAS MUSCLES and QUADRATUS LUMBORUM can cause pain in the groin from the front and between the lat rib and hip bone in the back. It can also spill down into the buttocks area. 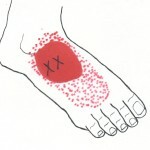 RX is always ice 30 minutes 2 – 3 x a day on the painful area. 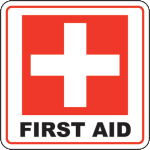 Take anti-inflammatory meds, stretch, and tape the shin and arch before any physical activity. My suggestion with this area is apply Ice. It’s usually injured by over use. So, rest, ice, elevation, compression sock and anti-inflammatory should help this muscle. 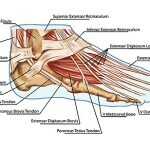 EDB is a muscle on the upper surface of the foot that helps extend metatarsals 2 through 4. The Gracilis muscle’s fibers run vertically downward, passing behind to the medial condyle of the femur, curving around the medial condyle of the tibia, and inserts into the upper part of the medial surface of the tibia, below the condyle (Confusing but see pic below). 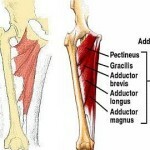 Because of its attachment the Gracilis muscle is considered a Ad-doctor. 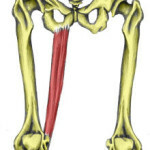 The Gracilis attaches on top of the ishial tuberosity bone, and below to the medial portion of the tibia. It is usually felt like a graoin pull. 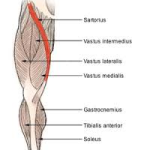 These strectes shown will help increase the gracilis’ range of motion an releive the pain when injured. RX is always Ice 30 minutes 2x day on the painful area of the groin, anti inflammatory, and stretch. 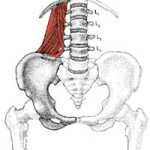 The sartorius muscle attaches above from the anterior inferior iliac spine, running obliquely across the upper and anterior part of the thigh. 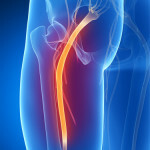 It extends down to the medial side of the knee joint passing behind the medial condyle of the femur to end. 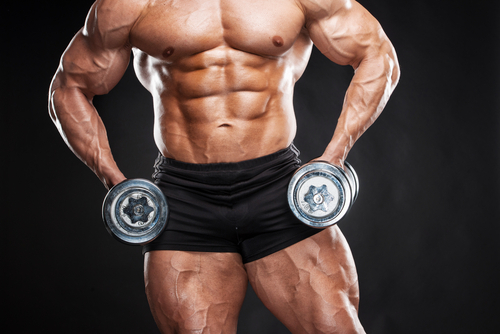 It is considered the longest muscle in the body and most bodybuilder refer to it as the “Rope” and is highly desired to show during leg poses in competition.